"You do what you can do, and I'll do what I can do, and TOGETHER, we can make a difference." "The potential of the average person is like a huge ocean unsailed, a new continent unexplored, a world of possibilites waiting to be released and channeled toward some great good." You have gifts: God-given abilities and talents, of which you might not even be aware. These gifts--when discovered, developed and applied--enable you to reach towards your purpose and potential. You can make a real difference in the world, helping to make it a better place for all. Volunteering is a great way to use your gifts and discover new ones, helping people in your community. And when you help others, they help you ... they help you become a better you. You'll feel good, too! This video tribute spotlights seven of the ways people volunteer in their community. Below are links to the seven organizations, and 101+ other volunteer links. Thanks for taking time to watch the video, and to consider volunteering! Hospital Volunteering (Hospital Profiles: a website with hospital volunteer listings) Wikipedia: "Hospital Volunteer"
National Breast Cancer Foundation Join in the fight against breast cancer! National Parks Service "Volunteers-In-Parks" (VIPs) preserve and protect America's natural and cultural heritage. Citizen Corps Help through training in first aid and emergency skills; and provide support for local emergency responders, disaster relief, and community safety. American Cancer Society Helping cancer patients and their families. Start a McGruff Safe House for kids (or assist one) McGruff Houses provide a safety network for children and reduce the risk that children will be victimized. OperationHomefront.net Help the spouses and families of our military. Knit a Teddy Bear for a child victim of tragedy around the world. Boys and Girls Clubs of America ...to promote and enhance the development of boys and girls by instilling a sense of competence, usefulness, belonging and influence. Boys & Girls Clubs are a safe place to learn and grow. The United Way hundreds of volunteer options available every day. YMCA - lead an exercise class, read to a preschool class, coach a basketball team, cook for a bake sale, design a program brochure, greet people at the front desk, and much more. YWCA USA ~ World YWCA - from rebuiding homes after natural and man made disasters, to feeding and educating street children, to providing safe houses for women fleeing abusive partners - and much more. JCC Association -started in 1854 as the Young Men’s Hebrew Association, the Jewish Community Center Association provides educational, cultural, social, Jewish identity-building, and recreational programs for people of all ages and backgrounds. Visit Prisoners to offer friendship and a listening ear to help prisoners prepare to assume a useful place in society. Art Gallery Volunteer at National Gallery of Art, Washington, DC. ~ OR CONTACT YOUR COMMUNITY ART GALLERY! The Children's Defense Fund - to lift children out of poverty; protect them from abuse and neglect; and ensure their access to health care, quality education, and a moral and spiritual foundation. HelpInDisaster.org Register to be available to help in disasters. Little League - managing, coaching, mentoring, umpires, and many other support volunteers. 4-H - helping young people across America learn leadership, citizenship and life skills. Help A Shut-In such as: hair stylist, handyman, deliver groceries or library books. TO HELP: contact your local charitable organzation, library volunteer coordinator, church or faith-based group, hospice. Meals On Wheels Association of America (local program locator) - take action to fight senior hunger. Have a Green Thumb? Be a Volunteer Gardener - Many botanical gardens, arboreta, horticulture centers, historical sites and nature centers need volunteer support! This link to publicgardens.org can help you find one near you. Join and volunteer with your local Chamber of Commerce to support your community. This links to ChamberOfCommerce.com where you can search for the local Chamber of Commerce serving your community. Join the Peace Corps - Peace Corps Volunteers work in the following areas: education, youth outreach, and community development; business development; agriculture and environment; health and HIV/AIDS; and information technology. Save The Children - to make positive, lasting change in the lives of children in need in the United States and around the world. UNICEF United States Fund - UNICEF works in over 150 countries and territories, in areas from nutrition to protection, HIV/AIDS to education. Feral Cat Spay/Neuter Project - be a part of the compassionate solution to end feline homelessness. Improve the lives and health of these free-roaming felines, including spay/neuter, rabies vaccinations and providing food and shelter. Help your local Public Broadcasting Service (PBS) station - opportunities range from helping with mailings and answering phones during pledge drives, to leading station tours and organizing special events. CharityMile.com ~ Assist a Charity Walk ~ RunTheNation.com (5K, 10K, Marathon) to look up races near you; then click on the link to sponsoring organizations. National Down Syndrome Society (afilliate locator) - helping people with Down syndrome and their families, by enhancing the quality of life, and realizing the potential of all people with Down syndrome. Muscular Dystrophy Association "Jerry's Kids" - bringing help and hope to hundreds of thousands of people with neuromuscular diseases. Volunteers assist with Telethon pledge centers across the country in a variety of ways. Actors and Others for Animals Volunteers can help conduct classes in both public and private schools to teach responsible pet guardianship and to motivate and instruct students to care for and protect all animals. Ronald McDonald House ...provides a “home away from home” for families of seriously ill children receiving treatment at nearby hospitals. volunteers help prepare meals for families, host movie and pizza nights, clean and organize kitchen and play areas, and maintain gardens and landscaping. Camp Fire USA ...programs include youth leadership, self-reliance, after school groups, camping and environmental education and child care. Windstar Foundation ...to educate, inspire and empower children and adults to create responsible choices through community and global action for a healthy and sustainable environment. World Vision "building a better world for children"
Jewish Volunteer Connection ~ in a wide variety of areas, from the arts, children, computers, environment, families, health, hunger, legal, seniors, urban rehabilitation, and more. Alyateem - Orphan Sponsorship Islamic reliefs orphan sponsorship programme in UK, USA, Canada, France, Europe, and rest of the world. Baitulmaal Organization - AHED - Worldwide Islamic Relief and Development to aid the sick, aged, and helpless, with plans to improve sanitation and prevent disease, to encourage social and domestic hygiene, and future plans to build, repair, and maintain schools. Islamic Multi Service Organization a wide variety of services, including: food for the needy, community gardening and beautification, visiting the elderly and sick, providing toys for needy children, and much more. HinduAid.org - volunteering for our projects that deliver lasting benefits in the global effort to reduce poverty and inequalities. USA Freedom Corp wide-ranging Federal volunteer initiatives, private non-profits and community serving organizations. "Until one is committed there is hesitancy, a chance to draw back. Always ineffectiveness concerning all acts of initiative and creation. There is one elementary proof - the ignorance of which kills countless ideas and splendid plans. This is, that the moment one definitely commits oneself, then providence moves too. All sorts of things occur to help one, that would never have otherwise occurred. A whole stream of events issue from the decision, raising in one's favour all manner of unforeseen incidents and material assistance, which no man could have dreamed would come his way. Whatever you can do or dream you can, begin it. Boldness has power and magic in it, begin it now." The piece performed in the video is "Seven Sunflowers" -- originally on my CD Sunflower Serenity ...Watercolor Odyssey, and it was inspired by a watercolor my mom painted for the CD's backcover. 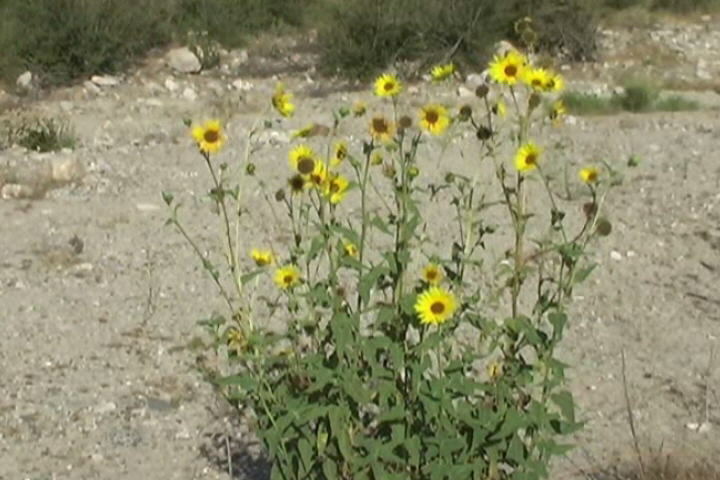 The video version was recorded live in Lytle Creek Canyon on June 20, 2008, about seven o'clock in the morning, standing in front of a sunflower bush, before a live audience: a RATTLESNAKE! That's right. 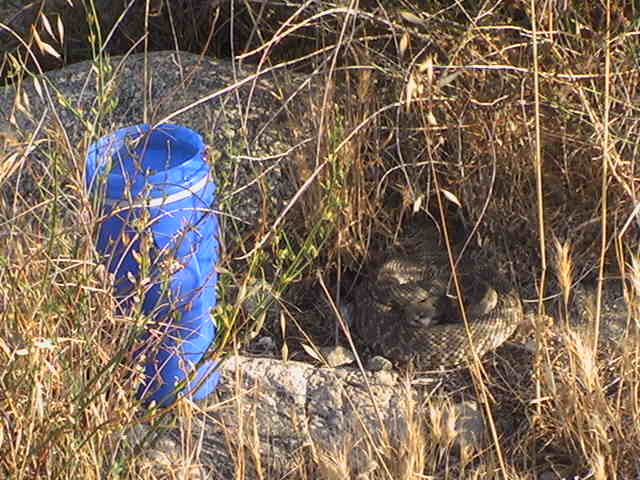 After setting up the video gear, I set my coffee cup down on a nearby rock and--Whoa!--jumped back startled: a rattlesnake was coiled-up resting just a few inches beyond the coffee cup. I thought about what to do: Well	... this is such a good place to record, and the snake was resting 15 feet or so from where I'd be playing, in plain sight (once I knew he was there)--why not go ahead and record? --Soon after videotaping, the 3-foot-long snake figured the concert was over, so he/she slithered away and went under a rock. I was able to retrieve my coffee cup -- and the snake even left a tip: "Next time, watch where you set your coffee cup!"